1. KGK are the initials of Ken Guy Kuryla. It might not be very original but it's our brand and we're sticking to it! Some of the memorable names we heard early on when potential clients called our office looking for Ken were "is this KGB gardening" and the worst "Is your business called KKK Landscaping?" 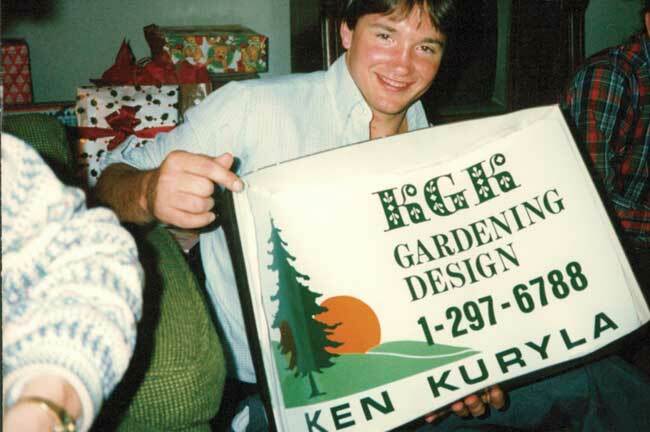 In 1985, Ken received several magnetic signs for the trucks for a Christmas present from his family so we could establish a corporate identity and name recognition. 2. KGK is located on property in Hudson that Ken's parents bought for a hobby farm in 1958. 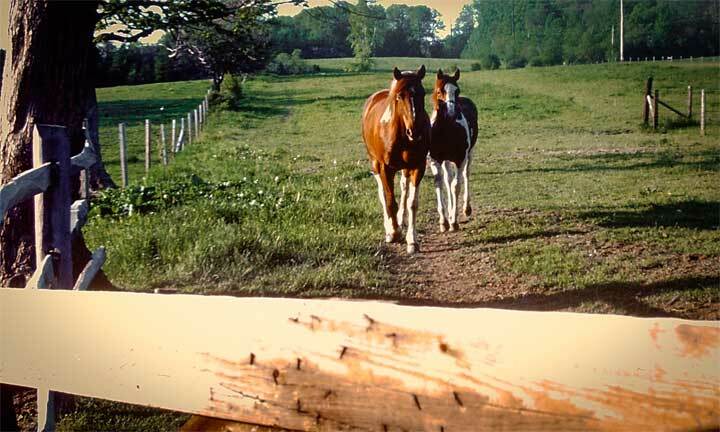 The family farmed the land, raised chickens and other livestock, and showed horses for a number of years. 3. KGK started to use software to design landscape projects in 1993. Even though Ken wasn't the most computer literate, Joyce has a business degree and management information system degree from Ohio State. She "urged" him to use the PC based software to set himself apart from the competition. Ken was a quick learner! 4. 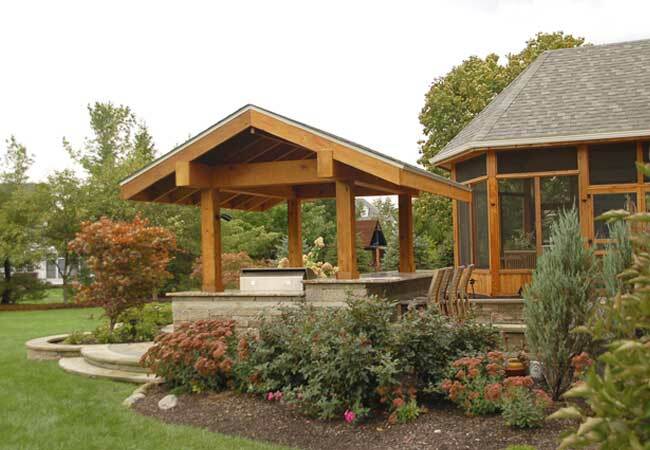 KGK began as a design build firm and later expanded into maintenance. During the eighties, Hudson was experiencing double digit growth in terms of new housing developments. 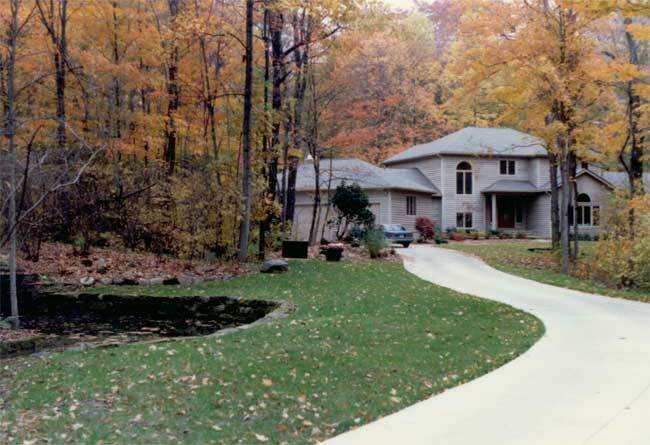 Ken's first large scale design build project was a master plan for a brand new Deer Hollow property in Hudson. 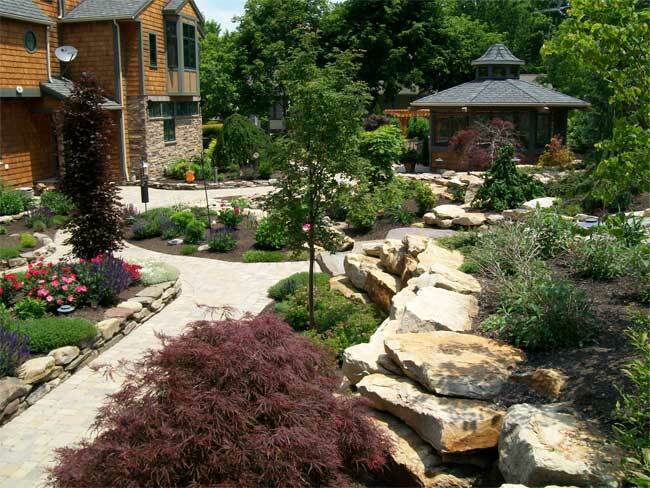 Ken consulted with the client on siting the new house, preserving specimen trees, designed the landscaping and built the entrance, waterfeature, stone walkways and plantings. 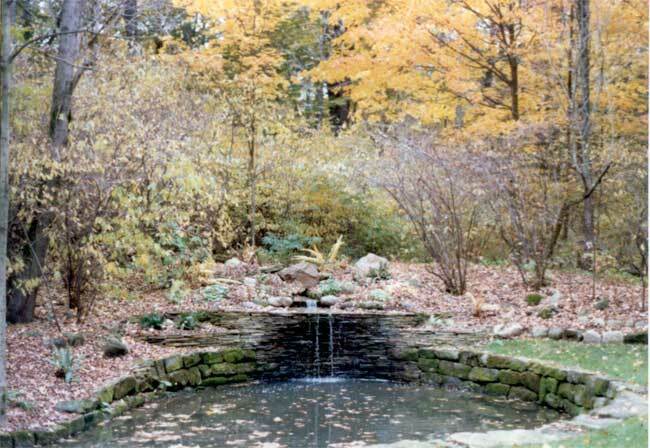 The barnstone wall and waterfall are still in great condition thirty years after installation. 5. 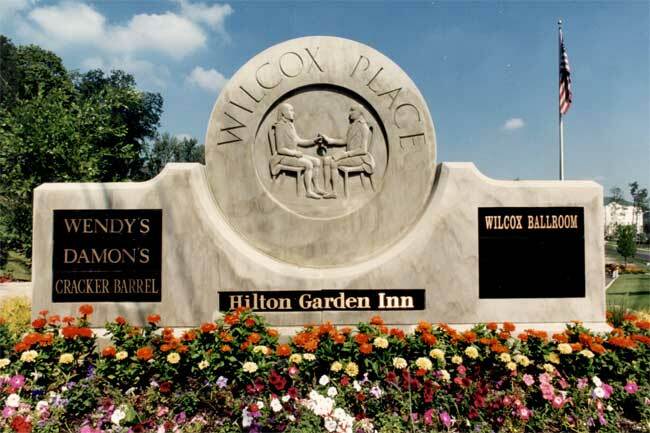 KGK designed the signs located at the entrance of Wilcox Place and the Hilton Garden Inn Twinsburg location. This project was the company's first large commercial design build project. In addition to creating Hilton landscaping and the popular reception site in the rear of the building, Ken brought in a stone sculptor to create the sandstone signs. 7. The sandstone used in so many of projects is sourced from the oldest quarry in the country; Cleveland Quarries. 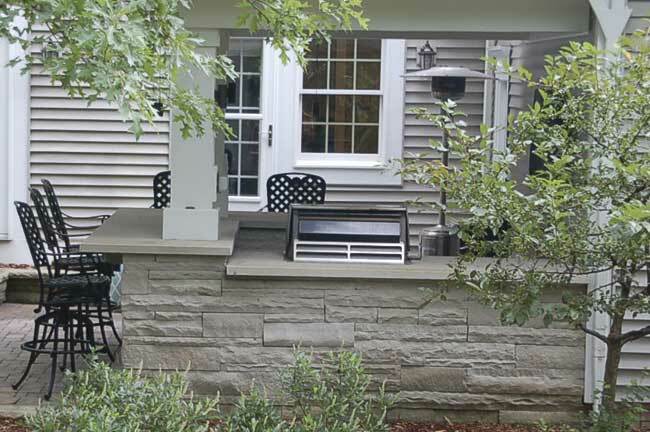 Since 1868, Cleveland Quarries has followed the time honored tradition of quarrying and fabricating sandstone from the Amherst and Birmingham, Ohio area. 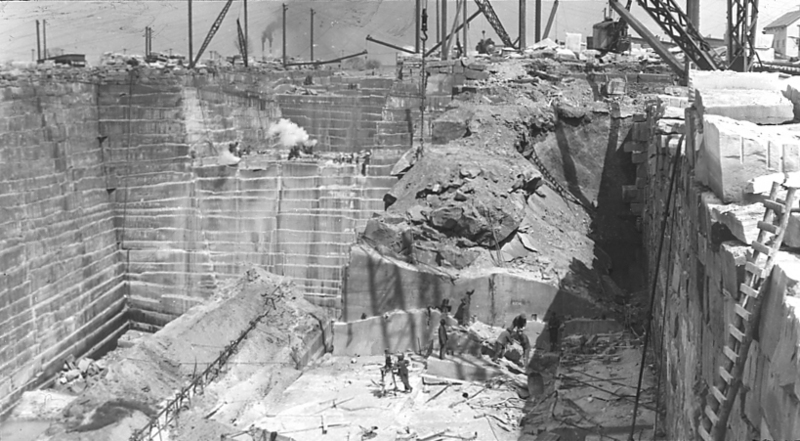 Spanning an area of 1000 acres and containing over 300 million cubic feet of deposits, these quarries are both the oldest and largest in existence. 8. KGK has provided general contractor services as early as 1993. 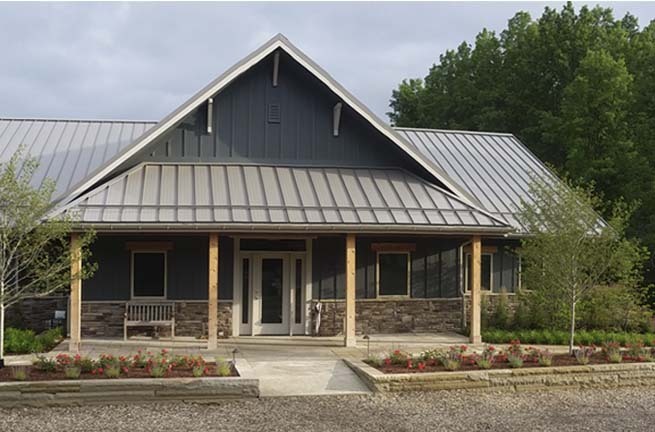 KGK has several years of experience managing large outdoor projects that require carpenter, electrical, mason and plumbing subcontractors as well as actual building experience. 9. 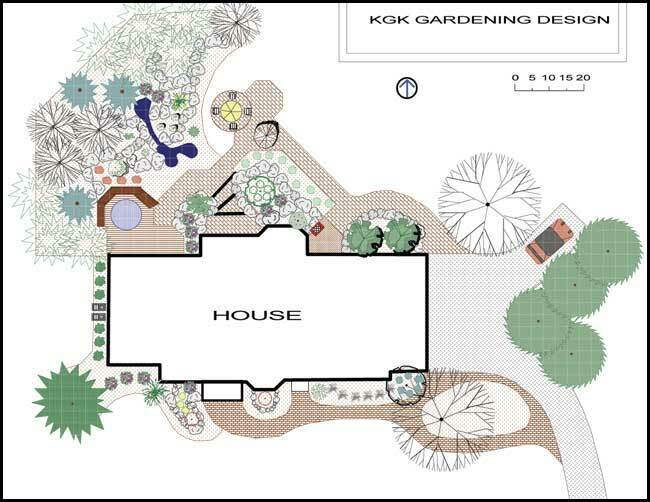 KGK was hired to design and/or install the landscape for three new housing developments in Hudson during the early ninieties: Chadds Ford, Canterbury Place and Canterbury on the Lakes. 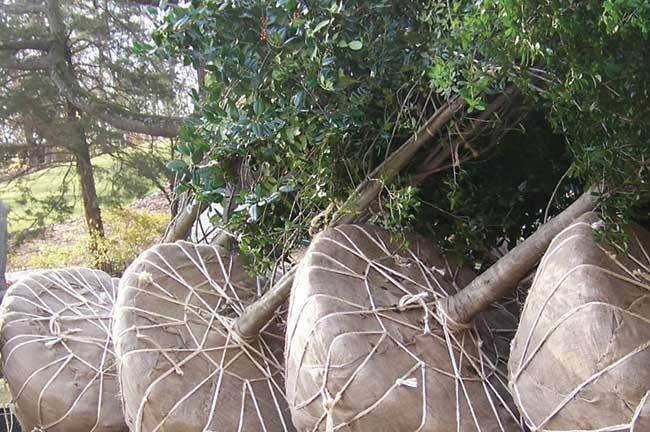 KGK has always maintained quality sources of mature specimen trees and shrubs that were important to the neighborhood entranceways, boulevards and cul de sac plantings. 10. KGK wholeheartedly believes in quality, quality, quality. As a company based in a small town that relied solely on word of mouth in our formative years, it has always been extremely important to us have an impeccable reputation for workmanship and business practice. KGK would like to thank 33 years of clients for their trust and business and look forward to serving the needs of a new generation with an expanded creative design and production capabilities. 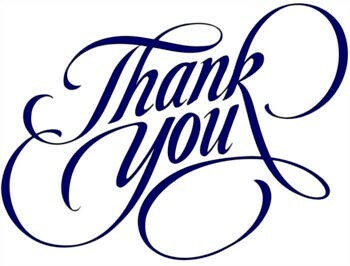 More testimonials from our clients can be found on http://www.kgkgardening.com/testimonials.